The Franklin Performing Arts Company (FPAC), the resident theatre company of THE BLACK BOX in Franklin, is bringing the best of Broadway to the suburbs October 13, 14 and 19-21 with its production of Disney’s Newsies. 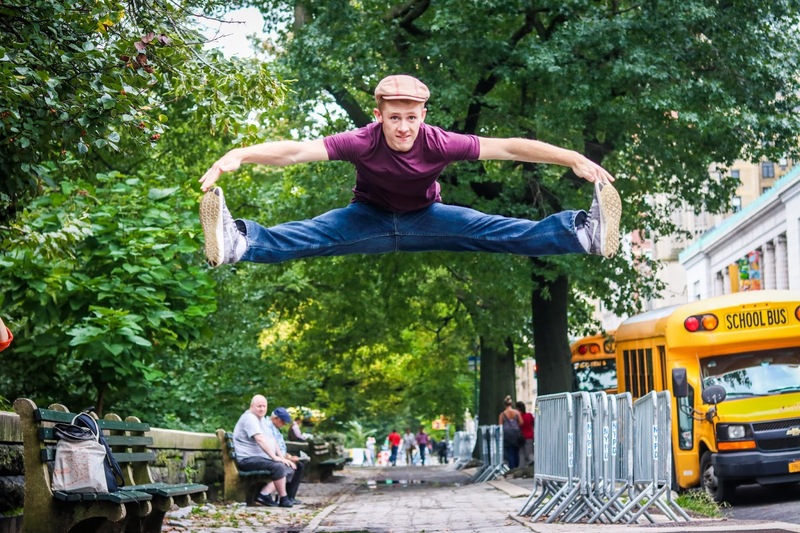 The show stars Broadway’s Christopher Rice (The Book of Mormon) and is choreographed by Chaz Wolcott who toured with Disney’s Newsies for two years, appeared in the live film version of the show from Hollywood’s Pantages Theatre, and was featured on FOX’s So You Think You Can Dance. The production also provides a once in a lifetime opportunity for Walpole teen Griffin Wilkins: the chance to understudy a Broadway star. Griffin Wilkins, a senior at Walpole High School and the Franklin School for the Performing Arts, plays “Race” in Disney’s Newsies, a featured role that highlights his dance ability. However, in addition to mastering Wolcott’s intense choreography, Wilkins has the added task of understudying the lead role of Jack Kelly. Traditionally, an understudy is a member of a show’s ensemble who also covers a lead role in case the lead actor is sick or unable to perform. Wilkins has some added duties, explains director Raye Lynn Mercer. “We’ve had a unique rehearsal process for this show due to four of our leads being based in New York City. While the rest of our cast rehearses here in Franklin, Griffin has had to, quite literally, switch hats in the middle of scenes rehearsing his regular track as well as helping our ensemble understand where Christopher Rice will be during a scene.” The unique process has also taken Wilkins all the way to New York City. “Last week, we held a rehearsal in NYC for our cast members based there and Griffin was able to come along with us to help plug Christopher Rice in, as well as to clean the choreography and vocals,” explains Mercer. Even at his young age, Wilkins is no stranger to the task of understudying a professional actor. Last March, he appeared as Judah in FPAC’s production of Joseph and the Amazing Technicolor Dreamcoat in which he also understudied Equity actor Andrew Scott Holmes in the lead role of Joseph. This performance won Wilkins a DASH Award for Best Youth Actor in a Musical. Disney’s Newsies runs October 13, 14 and 19-21 at THE BLACK BOX at 15 W. Central St. Franklin, MA 02038. Tickets can be purchased online at www.theblackboxonline.com or by calling the box office at 508-528-3370.